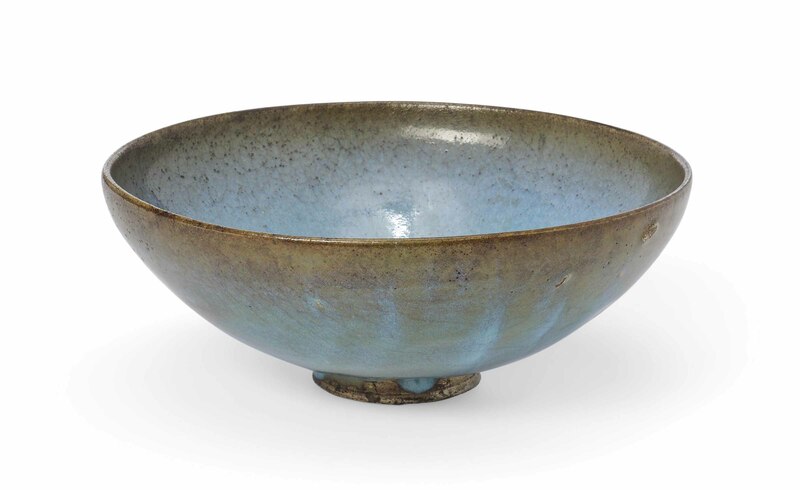 The bowl is of conical form and it is covered to the interior and exterior with a thick glaze of milky blue tone bearing purple splashes, falling short of the foot. 8½ in. (22 cm.) diam. Acquired from Densmore, Paris, 10 September 1966.